Superstar physicist Michio Kaku sat down with Innovation & Tech Today for a sprawling interview on education and future tech in the summer of 2016 for that year’s fall issue. As one of the faces of popular science, Kaku is uniquely positioned to supply advice on how to engage young minds. Part of that interview is recorded below. Innovation & Tech Today: In line with Albert Einstein, one of your idols, you’ve pointed to curiosity and determination (more than “gifts” or “good genes”) as the prime movers of genius. As a teacher and popularizer of science, how do you work to instill curiosity and determination in others? 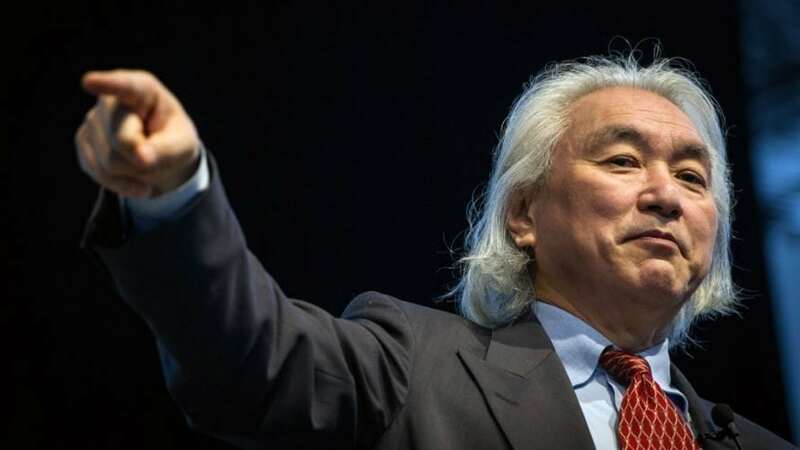 Michio Kaku: We’re all born scientists. All of us are born that way. We’re born wondering why the sun shines. We’re born wondering, What does it all mean? Where do we come from? Where are we going? We’re born to ask these questions. And then around the age of 10, that’s when we have this existential shock realizing that the world of mommy and daddy is much bigger than you previously thought. It’s huge! It’s just gigantic. It’s full of wonders. Before 10, everything is mommy and daddy, right? After 10, you have this shock looking through a telescope: looking through a microscope, going to a planetarium, reading an astronomy book. For Einstein, it was playing with a compass. You have this shock realizing that the universe is incredible, huge, gorgeous, and that’s the time that you want to get them because they’re full of curiosity, full of wonder. And then, when they’re about 16 years old, it’s all over. It ends. Like that. You know the reason why? Peer pressure kicks in; science is made boring. You have to memorize things for your science exams. Peer pressure, you know, people think you’re a nerd. Hollywood gives you this pyramid. At the top of the pyramid are the beautiful people – the football jocks, the cheerleaders. And at the bottom, you have the nerds. That’s the pyramid that’s given to us by Hollywood. But, you see, they never tell you that as soon as you graduate from high school the pyramid turns upside down. Now, I have nothing against beautiful people, you know. Congratulations! They won the genetic sweepstakes. I have nothing against them. But Hollywood gives us this false impression that they’re going to be on top forever. No, it doesn’t work that way. So, what I try to do is that, when students are still young, they’re open to keeping that nurturing going into college, beyond college, because those are the years that they’re most receptive. And then it’s crushed out of them by science curricula that are boring and boring science teachers – by your friends; peer pressure sets in. But you know it’s possible to nurture that and keep that alive. Now, my favorite quote from Einstein is that if a theory cannot be explained to a child, the theory is probably useless. Meaning that all great theories are based on principles and pictures. I mean, think about it: relativity is based on clocks, meter sticks, rocket ships. What could be simpler than that! Newtonian dynamics is based on balls going around other balls in orbit. There’s a picture! There’s a picture behind every great principle of science. But we never teach it that way. That’s not how we teach it at school. We teach it by memorization, and we confuse memorization with science. Science is not about memorization. In the future, the periodic chart will be in our contact lens. You simply blink and there’s the periodic chart. You won’t have to memorize it. However, to use it requires principles. The principle of how hydrogen and oxygen react with other chemicals. So, science education should be more in the direction of principles rather than the details, which you will get by blinking in your contact lens. Innovation & Tech Today: We love STEM education. As someone who built an electron accelerator in his garage when he was in high school, what advice would you give young tech enthusiasts/ scientists? Michio Kaku: It’s true. When I was in high school I built a 2.3 million electron volt betatron electron accelerator in the garage. It consumed 6 kilowatts of power; it created a magnetic field of 10,000 gauss, or 20 times the Earth’s magnetic field, so, gee, what advice should I give people? They were not allowed to follow their dreams because of practical consideration. Their father wanted them to take over their business to become a success in finance, but it left them with an empty feeling. When they were young, they had that epiphany. They had that existential shock as a child, but they could never do anything with it because, of course, the parents say, “No, no, no, you have to go into business and take over the family business,” and things like that. So I tell people to follow your dreams. When I was young, I read a pamphlet and I was in, I think, fourth grade and the pamphlet said, “What do physicists and baseball players have in common?” So I said, “That’s an interesting question,” so I opened it up and the answer was “They both get paid to do what they love.” And I said to myself, “Wow, that’s pretty good.” Baseball players get paid to do what they love and we physicists get paid to do what we love, too. I mean, great! I say to people follow your dreams, go as far as you can to understand the secrets of nature and hopefully, at the end of the rainbow, you get paid to do what you love. Next article Are Hybrid Cloud Computing Environments Here to Stay?